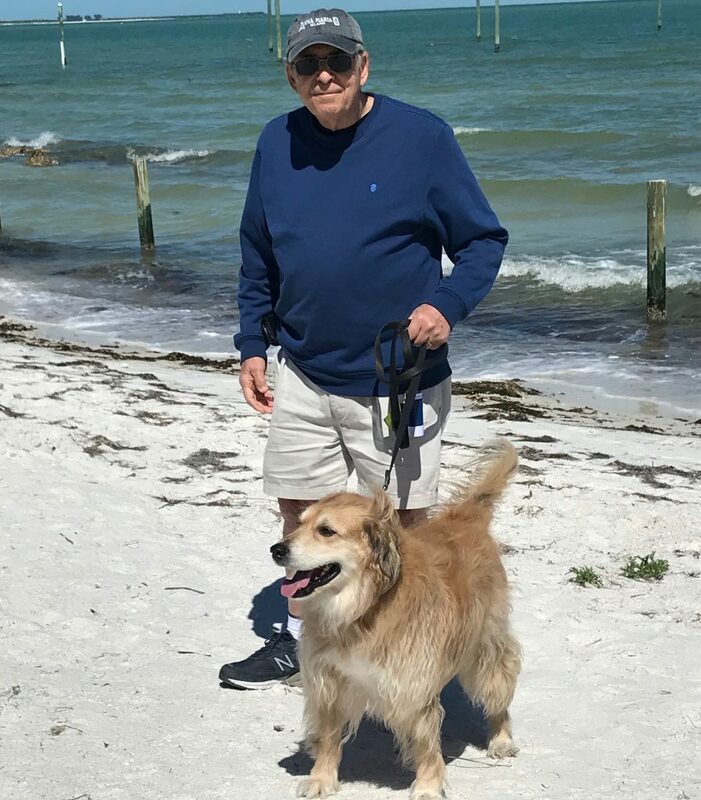 This is the third and final article on a trip taken by Petswelcome founding partner Fred Grayson and his wife, Valerie, traveling from New York City to Florida with their dog Charlie. After being on a long road trip, heading home always gives rise to mixed feelings. There is some regret that our adventures are over but mostly there is a great eagerness to get back to our regular life and resume the schedules we wanted to escape in the first place. And that’s what makes trips like this–and travel in general– so wonderful. Not only do you get to experience new people and places, it also makes you better appreciate where you come from and, in doing so, reinvigorates your daily routine. Even Charlie, with his nose pointed north, seemed ready to call it a trip. On I95, heading to Rocky Mount, NC, there were signs for the Benson Dog Park a 3-acre off-leash dog park with separate fenced in areas for small dogs under 25 pounds, and large dogs over 25 pounds. 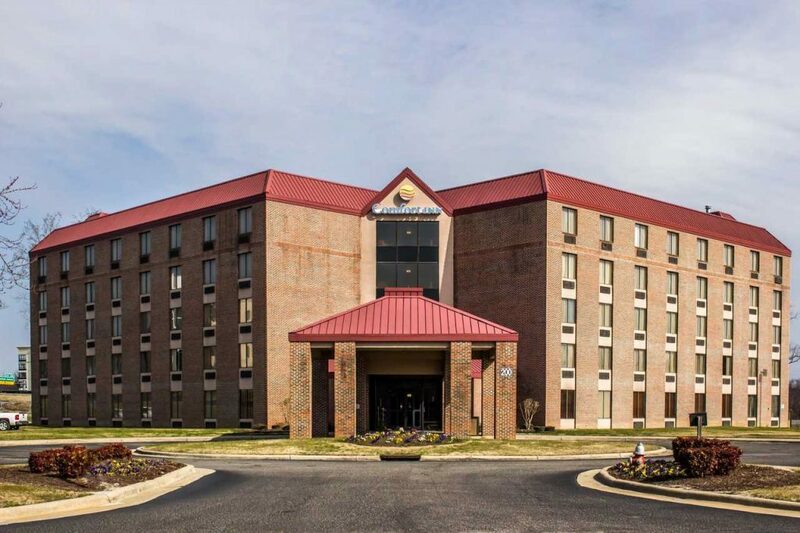 Located next to the dog-friendly Hampton Inn & Suites along I-95, Exit 79, entrance off of Hwy 242.We didn’t stop, but it’s good to know about if we needed to for Charlie. Our next to the last stop was the Comfort Inn, Rocky Mount, NC. There was a daily $25 pet fee (50 lbs. max), and although no specifically designated dog walking area, there was plenty of places to walk. We didn’t do much exploring but there’s a great BBQ place, Prime Smokehouse, not far from the hotel. If you’re a fan of BBQ, don’t miss it. Waiting for Happy Hour at the Kimpton Lorien Hotel. We left early for our last destination, the Kimpton Lorien Hotel and Spa, Old Town, Alexandria, VA. There was no size limit, nor was there a pet fee. The entire Kimpton chain is very pet-friendly, and we knew this place is no exception as we’d stayed there before. 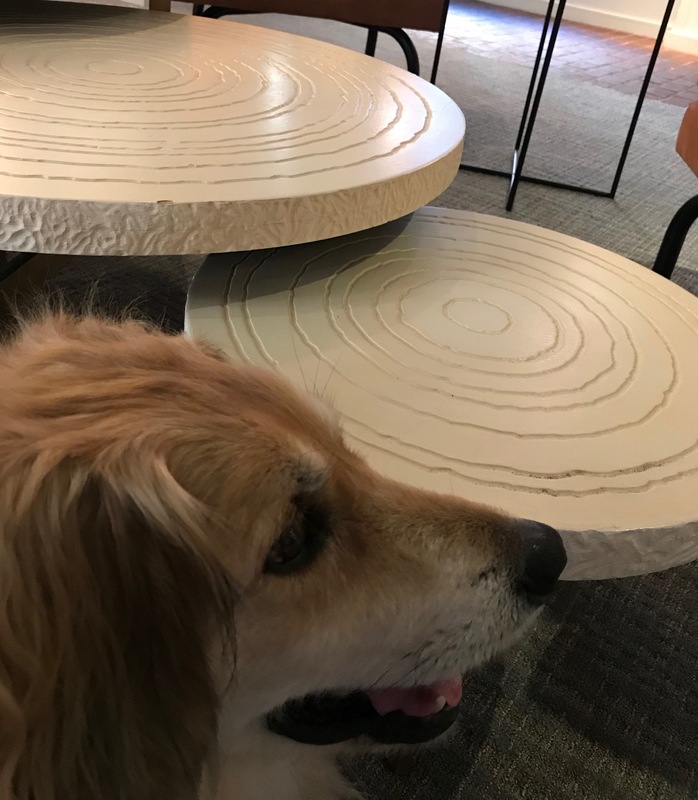 There are nightly wine and snacks for the guests in the lobby and many people bring down their dogs, but it’s BYOC (Bring Your Own Cookies) for the dog. It’s a great opportunity for the dogs to mingle . Old Town Alexandria is definitely worth a visit, and you can bring your dogs into many of the stores along the way. We were meeting friends for dinner at Theisman’s, about a block away from the hotel. It was starting to get colder out so we didn’t want to go too far. The last day was an easy trip back to Manhattan, I95 all the way. We were glad to be home but enjoyed our trip immensely. Even Charlie had a good time though he couldn’t wait to revisit his favorite places along the NY City streets when we walked him.